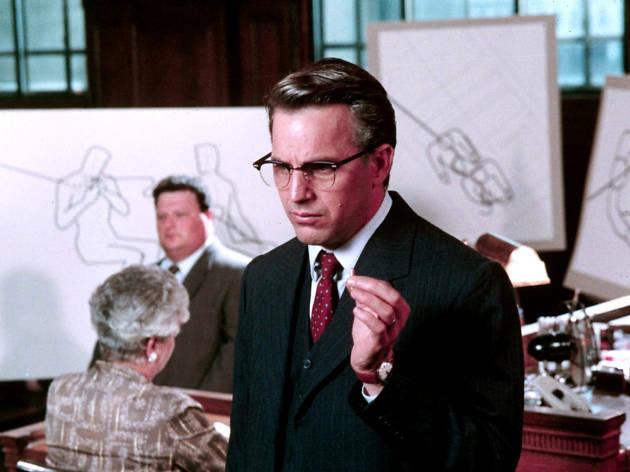 Oliver Stone goes for the gut but the complexity of theories surrounding the Kennedy assassination might have benefited from a cooler assessment. Understandably, Stone is hostile to the lone assassin findings; here, Oswald (Gary Oldman) is merely the ‘patsy’ of a nebulous conspiracy cover-up involving just about everyone; sadly, their exact roles in the ‘coup d’état’ are never properly clarified. 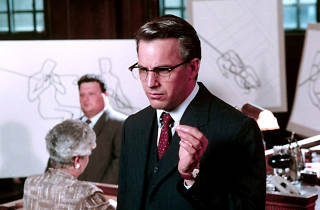 The investigation conducted between 1966 and 69 by DA Jim Garrison (whitewashed as Kevin Costner) allows Stone to proffer a dazzling array of facts, hypotheses and flashbacks, intercutting archive footage, reconstructions, and more conventional dramatic material. While his logic is often murky, the data overload is forceful, if not wholly persuasive. Though the huge cast performs strongly, characterisation is minimal and the overall structure uninspiring. Often the film seems a garbled rant but mostly it’s more complex and less flashy than Stone’s other work. The urgent editing packs a powerful punch and if the conclusions are vague and ready to see conspiracy everywhere, one can’t deny the force of Stone’s call for more open debate.